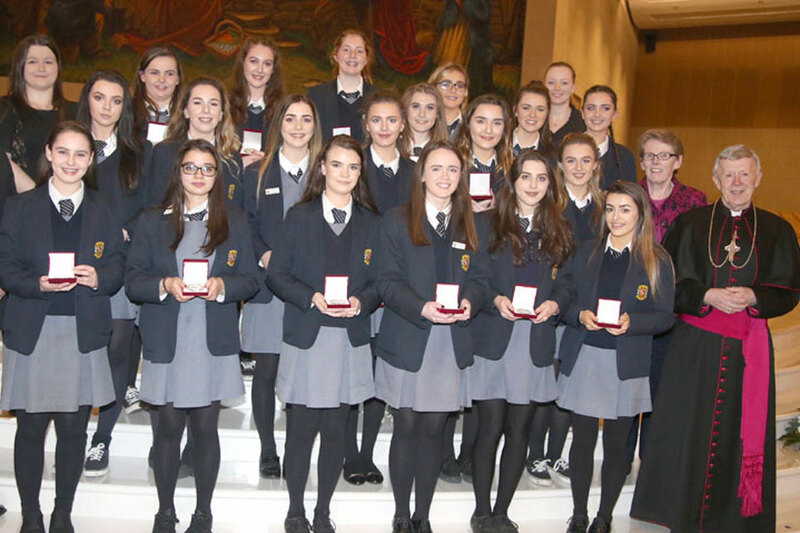 On Thursday 17 November, 2016 at our Lady’s Basilica, Knock, Co. Mayo, Archbishop Michael Neary gathered to celebrate and recognise the contribution of over 350 young people from all over the Archdiocese of Tuam at the annual presentation of the Pope John Paul II Award. Award recipients, Convent of Mercy, Tuam, Co. Galway. Archbishop Michael welcomed the young people to the event, along with their families, friends, school teachers, principals, chaplains, and representatives of the various parish and diocesan bodies including Mr. Mattie Harte, Athenry Parish Youth minister and Ms. Siobhan Bradley, Diocesan Co-ordinator for the John Paul II Award. Speaking to the young people receiving their Award, Archbishop Michael shared, “This is a wonderful celebration filled with music, dance, reflection and words of affirmation. Over the last year, you have been challenged to give of your time, talents, intellect, and skills as you took an active part in the life of the Church. As a result you have grown in your appreciation and understanding of Church. There is undoubtedly great idealism and generosity, but this needs to be challenged, and when challenged it thrives as it is in the John Paul II Award. I commend you all on your achievement. You have had the opportunity to reflect more deeply on your faith and have the courage to bear witness to it in situations involving your peers. It is my fervent hope that you will go forward from here to bring joy and hope to the life of the Church in your local area. All 350 young people received their medal and certificate in recognition of so much work carried out by them in their school, parish and wider communities over the last year. They would have been involved in everything from visiting the elderly to training as a Eucharistic ministers, cycling 150Km for charity to organising a sleepover vigil in their school for refugees. Through their experiences of this Award, they were given an opportunity to go beyond themselves and their needs, and reach out to others. Their very actions in the ordinary everyday world brought them a whole new understanding of Church and what it means to be part of it. It was a truly wonderful celebration to affirm and celebrate our young people and be uplifted, challenged and pleasantly surprised by the energy, enthusiasm and ideas shared by them. 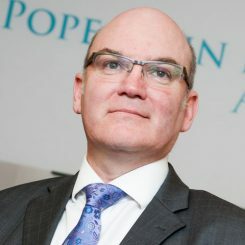 The Pope John Paul II Award is running in 21 Irish dioceses and 2 in the UK. It was launched in the Archdiocese of Tuam in 2009 with the valued support of the Knights of St. Columbanus. Each young person taking part in the Award chooses to get involved in parish life as well as participating in social awareness activities in their locality. If you want to get involved in the Award in the Archdiocese of Tuam, you can find information and Award resources on the Tuam Award website.